The Steitz by Garman Builders, Inc.. is a two-story home with 4 bedrooms an..
4 Bd, 3.5 Ba 3,326 sq.ft. If you're looking for a home that combines the quality and style of a class.. The Ellsworth by Garman Builders, Inc.. is a customer favorite! This is a ..
4 Bd, 3.5 Ba 3,069 sq.ft. 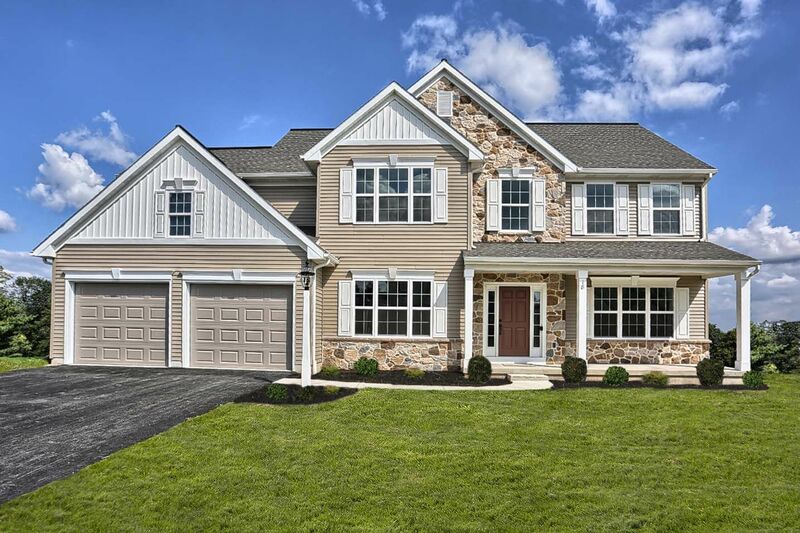 This brand new home, located in top-ranked Cumberland Valley School Distric..
4 Bd, 3.5 Ba 2,750 sq.ft. 4 Bd, 2.5 Ba 3,136 sq.ft. The Mayfairâ€™s open floorplan features a wide front entryway, a separate l..
4 Bd, 3.5 Ba 3,566 sq.ft. The Lamont's bright, open layout features a spacious kitchen and eat-in bre..
4 Bd, 2.5 Ba 3,348 sq.ft. Move in Ready March 2018!. The Harper's open floorplan features a two-story..
4 Bd, 2.5 Ba 2,684 sq.ft. Move in Ready August 2018!. This home features The Larkspur; an open and br.. The Nottingham by Garman Builders, Inc.. is a 2-story, 4 bedroom, 2 1/2 bat..
4 Bd, 2.5 Ba 2,652 sq.ft. Search new homes for sale in Mechanicsburg! If you are looking to buy brand new homes for sale in Mechanicsburg - browse floor plans, view photos, models, and pricing. You can also see new construction homes in Mechanicsburg and request an appointment or more information about a specific new home.